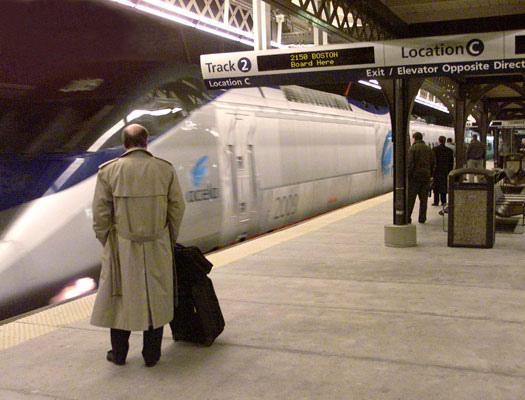 Well, if one could travel by a 100mph business class passenger train from downtown Buffalo to downtown Rochester in about 45 minutes and from downtown Rochester to downtown Syracuse in about 50 minutes, being able to work or read or just nap on the way, these cities are no longer distant or inconvenient. Each city has its own commercial base and does not replicate the other two. Each has an abundance of human and natural resources and infrastructure that is currently under-utilized. Perhaps it’s time to shed old 19th century notions of geopolitical boundaries and start thinking like other progressive 21st century regions. It will take more than a good train or two, but no single component can do more than a fast, convenient transportation link. Next, we can start to link with metro Toronto and really become an North American powerhouse.